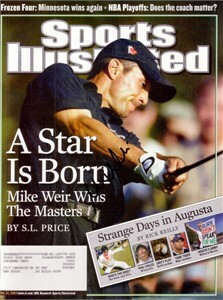 Complete 2003 Masters Sports Illustrated magazine autographed on the cover by champion Mike Weir. ONLY ONE LEFT. With certificate of authenticity from AutographsForSale.com.